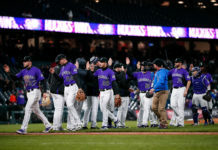 The Colorado Rockies had to dig out of an early hole on Sunday afternoon in an eventual 7-5 loss to the Chicago Cubs at Wrigley Field, but manager Bud Black believes his rookie starter only threw one truly bad pitch in the Cubs’ four-run first inning. Unfortunately, that one bad pitch resulted in three runs. 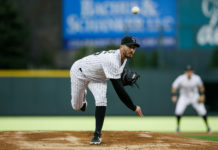 Antonio Senzatela surrendered four consecutive hits to open Sunday’s series finale in what would be his shortest outing of the season at just four innings. Still, Black could identify only one bad pitch through those first four hitters. “[Jon] Jay dorked one in, right? Good pitch. The pitch to [Kris] Bryant, down and away – base hit to center. [Anthony] Rizzo had a good at-bat. Not a bad pitch inside. You know, got to 3-2; it was a really good at-bat. [Senzatela] threw a 3-2 breaking ball for a foul ball, then he threw the ball in. It wasn’t out over the plate, but Rizzo [did a] good piece of hitting. “The bad pitch was the [Ben] Zobrist hanging breaking ball. Yeah, that was a bad pitch,” Black said. The pitch was the third consecutive slider Senzatela threw in the at-bat and came on a 1-1 count. It was nearly the identical pitch he’d thrown Zobrist on the first pitch of the at-bat, an 84-mph slider on the inside corner, but in the middle third of the zone vertically. Still, Black was impressed with how Senzatela responded over the rest of his outing. He walked another batter in the first, but managed to escape with no further damage. 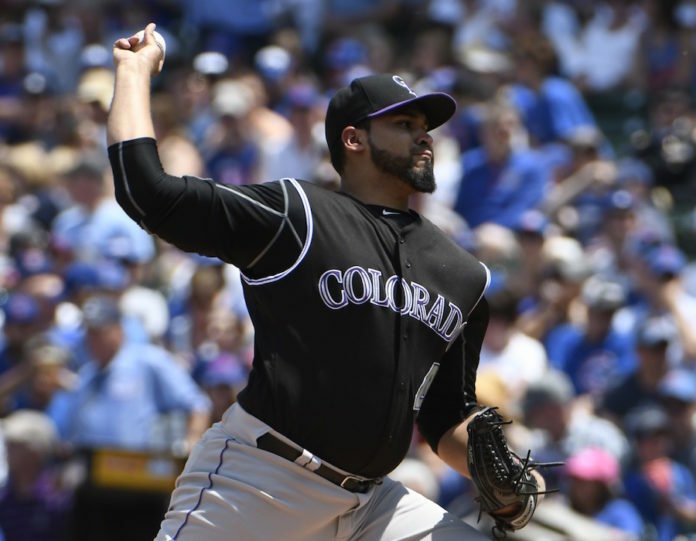 The rookie then posted three scoreless innings before Black pinch hit for him in the fifth. 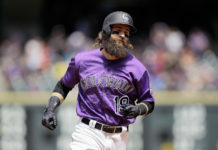 Home runs hurt the Rockies all day. After they battled back to tie up the game at four in the fifth inning, Jordan Lyles gave up a pair of solo home runs in the sixth. Chad Qualls also allowed a solo shot in the eighth, while Colorado couldn’t match that against Carl Edwards Jr., Koji Uehara and Wade Davis. Colorado still won the series 3-1. Their 41-24 record is the best in the National League.